This looks like a fun, nonthreatening way to teach revision. I want to know more! How did this child get the correct spelling of really? 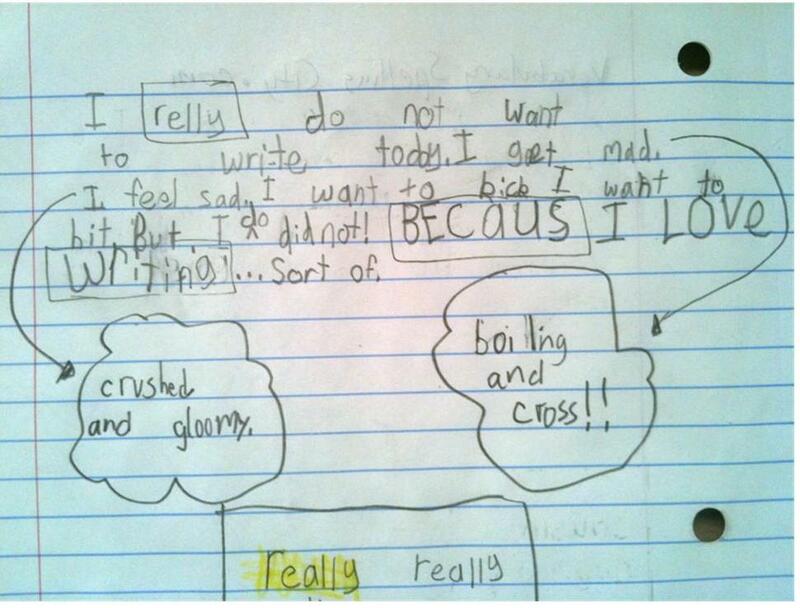 Did the writer box it initially b/c s/he suspected it was incorrect or did the teacher box it? Just now stumbling across this WITS program and would love info on teacher training. I’m a Dallas Montessori teacher (actually just returned from another workshop in Houston ;)). I’m interested in starting a creative writing camp at my school.